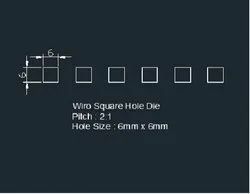 Our range of products include 2:1 wiro hole die and 4 x 5 oval shape spiral hole die. We manufacture 2:1 wiro hole punching die for diaries, calendars , notebooks. 2:1 die available in various sizes of hole like 6mm x 6mm and 5mm x 5.5mm. Also we can give customize die for individual customer need. 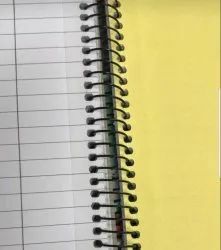 Available in required width of paper like A4, A3, A2 etc. The rate is for per 1 inch size of die. We manufacture die set for special oval shape or capsule shape hole size 3mm x 4mm or 4mm x 5mm for spiral binding. This die is specially made as per customer order. Also we can customize more if require. Available in A4, A3 sizes. Looking for Die And Tools ?